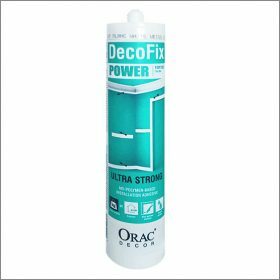 Choose FX200 for joining Orac Duropolymer, Orac Purotouch and Orac Xterio coving and panel mouldings. Firmly push the profiles together, and leave to cure for one hour. Then remove excess adhesive with a spatula or decorator’s trowel before the glue starts to harden. Please ensure the residue is wiped off with either acetone or Industrial wipes. Profiles can be decorated 24 hours after the glue has been applied. 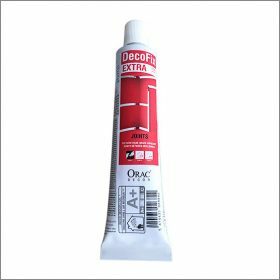 One 310ml tube is sufficient for joints on a minimum of 80 linear metres of mouldings. Use of DecoFix glues correctly for the best results. 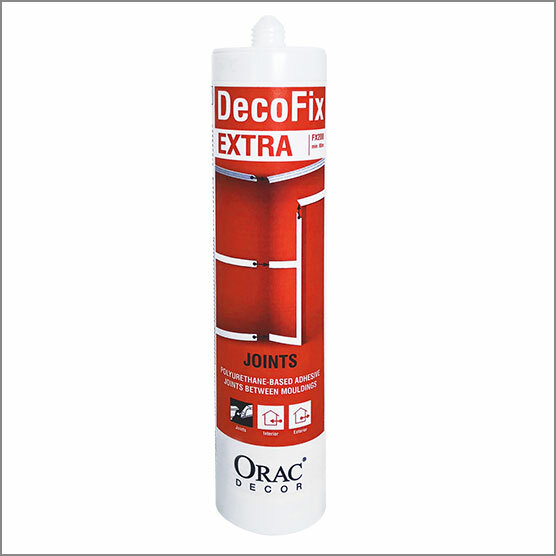 For Xterio, Purotouch, and Duropolymer profiles you should use DecoFix Extra for all joints. 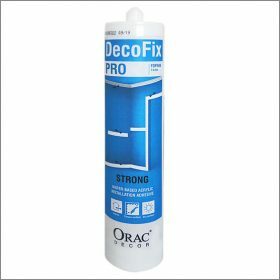 Do not use FX200 or FX210 for joints on Durofoam profiles (revert to FDP500 on these products, both on lengths and joints).